Jeffrey Chanton, an acclaimed climate scientist who has also done extensive work investigating the effects of the Deepwater Horizon accident, has been named the 2017-2018 Robert O. Lawton Distinguished Professor, the highest honor given by the Florida State University faculty to one of its own. Chanton is the John Widmer Winchester Professor of Oceanography in the Department of Earth, Ocean and Atmospheric Science, which is part of the College of Arts and Sciences. He is a 29-year veteran of the university and a fellow of the American Geophysical Union. Chanton’s research has focused largely on climate change, examining the causes of increased methane gas in the atmosphere and changes in our environment that continue that trend. He has also done extensive work on the effects of the 2010 BP oil spill, including research on how methane-derived carbon from the spill entered the food web and how much of the oil sank to the ocean floor and mixed with the sediment. His selection as the Lawton Professor was supported by numerous nomination letters both from inside and outside the university. 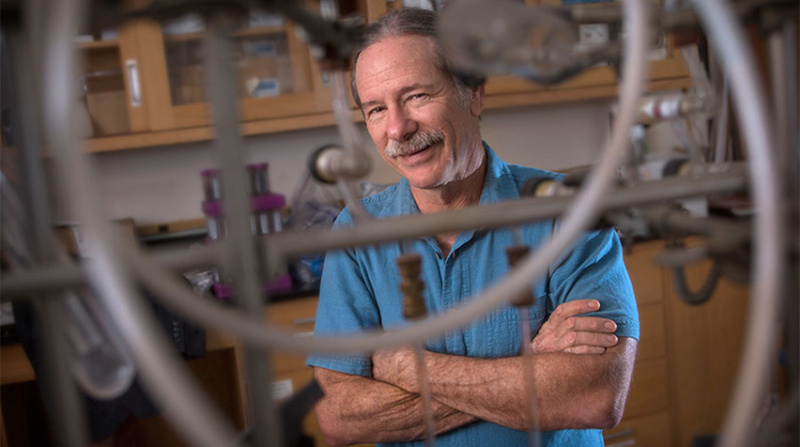 Alan Marshall, the 2006-2007 Lawton Distinguished Professor and chief scientist of the Ion Cyclotron Resonance Program at the National High Magnetic Field Laboratory, wrote that though Chanton has had a distinguished career, he has not yet peaked. 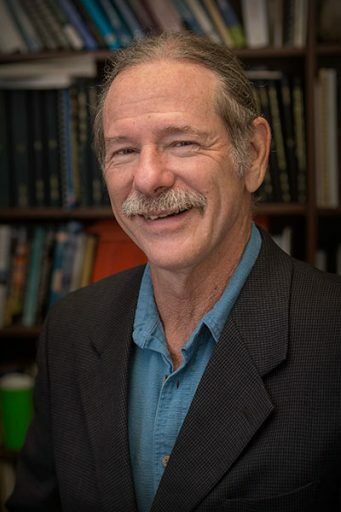 Former FSU Vice President of Research Kirby Kemper, who was the 2002-2003 Lawton Distinguished Professor, called Chanton a “world leader” in his field and also praised him for trying to educate the general public about science. “He has done a superb job of always focusing on the basic science and the danger of sea level rise to Florida, for example, while somehow avoiding making the discussions political,” Kemper wrote. Lawton has spent the bulk of his professional career at Florida State University. After a year as a research assistant professor at University of North Carolina, he came to FSU as an assistant professor in 1988 and progressed through the ranks. He became an associate professor in 1993 and a full professor in 1997. During his time at FSU, Chanton has amassed an impressive research record. He has published more than 240 journal articles on permafrost decomposition, food webs, methane emissions, the Gulf of Mexico and the impact of groundwater discharge on the health of coastal waters. His work has also attracted significant financial support — he has brought more than $15 million in contracts and grants to the university individually or with colleagues. Chanton’s work at the university has also impacted innumerable students. He directs two programs in the department – the undergraduate environmental science program and a Master of Science degree program in aquatic environmental sciences. With Graduate School Dean Nancy Marcus, he co-created the master’s program, realizing there was a need for a professional degree program for individuals working in environmental fields. He also developed a class called Special Issues in Environmental Sciences aimed at environmental science students at both the undergraduate and graduate student level. He currently teaches a class on sustainable food and water. Outside of the classroom, Chanton is equally prolific. He sponsors several student organizations, including the Environmental Service Program where students do service projects related to environmental science, and the FSU chapter of the Florida Association of Environmental Professionals, which brings in speakers to talk to students about careers in the environmental science field. He has been invited to brief a number of state and federal officials on scientific research on climate change and regularly gives presentations for the general public. With his wife, Chanton formed a local non-profit corporation dedicated to environmental education. For his efforts, Chanton received the Florida Wildlife Federation Conservation Communicator of the Year Award in 2005. The Lawton Distinguished Professor Award was first presented in 1957 as the Distinguished Professor Award. It was renamed in honor of the late Vice President for Academic Affairs Robert O. Lawton in 1981. At that time, the past recipients were designated Lawton Distinguished Professors. Chanton is the fifth person from his department to be named a Lawton Professor after Marcus, T.N. Krishnamurti, Seymour L. Hess and the late James O’Brien. To view the full list, please visit http://provost.fsu.edu/faculty/awards/distinguished-professor/.